Ken practices labor and employment law primarily representing public safety employees in civil and administrative proceedings, assisting his clients during internal affairs investigations, critical incidents, disciplinary proceedings, and grievances, including writs and appeals. He also defends associations and public safety employees in civil cases; prosecuted civil cases brought on behalf of aggrieved employees; and has prosecuted and defended writs and appeals. 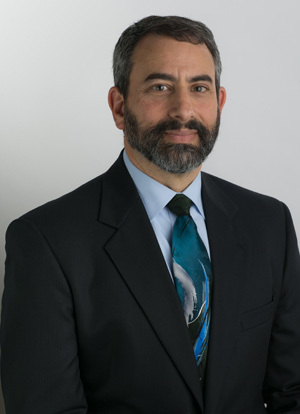 Ken has been practicing law since 1986, joining Rains Lucia Stern St. Phalle & Silver after previously practicing aggressive civil litigation in a variety of disciplines on behalf of plaintiffs and defendants. He has lectured to public employees and has written articles for law enforcement publications including the PORAC News. His cases have also been widely covered in various news media and he has volunteered with the Los Angeles Superior Court in several capacities. Ken is a licenced pilot and a PADI certified SCUBA diving instructor. He enjoys spending time with his wife and two children. He is licensed to practice in the state courts of California, the U.S. District Courts for the Northern, Eastern, and Central Districts of California, the Ninth Circuit Federal Court of Appeals, and the United States Supreme Court.